Companies awarded grants from the Texas Enterprise Fund may not be upholding their end of the bargain, leaving taxpayers unprotected, researchers from the University of Texas at Austin found through an open records request. 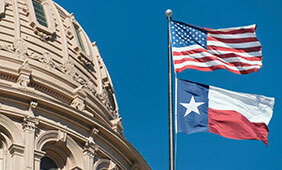 Established in 2003, the Texas Enterprise Fund (TEF) began as a near $300 million investment in Texas economic growth. The program provides grants to companies who are choosing between Texas and other out-of-state locations for their new projects, in exchange for job creation and capital investment. “A scathing audit of the Texas Enterprise Fund in 2014 uncovered numerous flaws in the program, including companies being awarded cash incentives without filling out formal applications, some companies having no job creation criteria for the awards, as well as poor oversight and monitoring,” says UT Austin government professor Nate Jensen. To research the efficacy of the program, Jensen and government doctoral candidate Calvin Thrall submitted public records requests for 165 TEF recipient companies — 45 of which challenged the request. While those companies were partially successful in thwarting the investigation, researchers were still able to obtain agreement records for 63 of the companies. The study revealed two things: First, many companies had privately amended their TEF contracts, oftentimes reducing hiring requirements; second, companies with amended contracts were up to 24 percent more likely to challenge a records request. However, firms who’ve faced public penalties — or clawbacks — for not upholding their end of the contract were 15 percent less likely to challenge records requests. Researchers found that many companies had amended the initial agreement to less ambitious terms, resulting in a reduction in their overall TEF award. In many cases, these renegotiation efforts appeared as an attempt to avoid upcoming clawback provisions. In one case, an agreement was amended to extend the job creation deadline on the day of the original deadline, researchers explain. Researchers note that the public records request is ongoing. Findings from their current study are available as a white paper in the Washington Center for Equitable Growth.